Local Homeless charity The Bridge East Midlands are proud ‘Dementia Friends’ as a result of the efforts of Rachel White, a Dementia Friends Champion, working to increase Dementia awareness and reduce the negative stigma often attached to the illness. 25 service delivery staff are now part of the ‘Alzheimer’s Society Dementia Friends’ programme. Dementia touches the lives of millions of people across the country - effecting 1.6% of our local community. It is a set of symptoms that can include memory loss, difficulties with thinking, problem-solving or language, ultimately affecting cognitive actions we take for granted in our day to day lives. People suffering with Dementia also experience loneliness and social exclusion, in which becoming a Dementia Friend teaches you the small ways you can help; that make a big difference. Volunteers across the country are running free ‘Dementia Friends’ information sessions for local people to support the programme, and Dementia sufferers as a result. 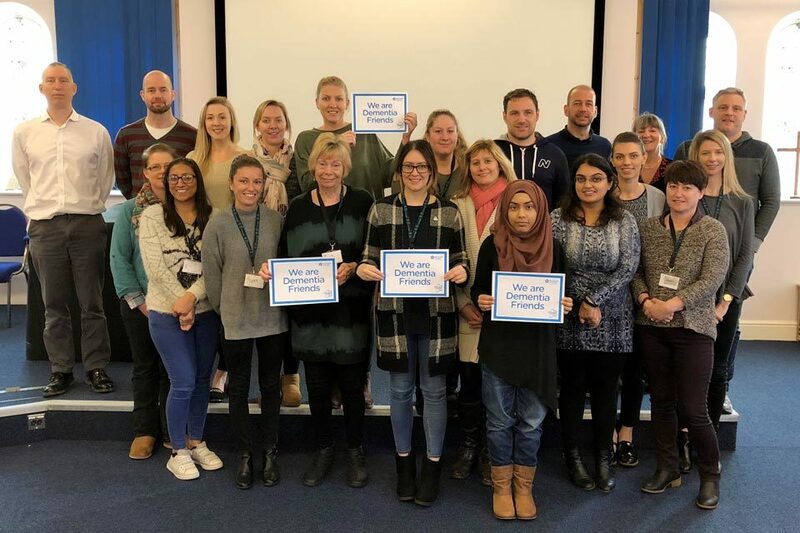 Rachel White, Board of Trustee member for The Bridge (East Midlands) and Dementia Friend said “staff at the Bridge showed their commitment to making Charnwood a dementia Friendly Area by attending the Dementia Friends information session and each pledging to take an action”.